DFO was challenged by newsbae.com, a news site focused on viral stories, to generate enough organic traffic to turn a profit from on-page advertisements. Additionally, DFO was asked to eliminate a number of technical issues hindering search engines from effectively indexing the content, optimize performance in search results for popular queries, and generate authority value from inbound links. DFO conducted a full website audit, analyzing the technical architecture and website content. We performed a keyword analysis to identify proper targets for categories/sub-categories, as well as a competitive analysis of other top-performing viral news sites to identify best practices for navigation and layout. We also ensured content was short and long-tail query optimized, and executed a link development strategy to point authority domains to the homepage, category pages, and article content, as appropriate. 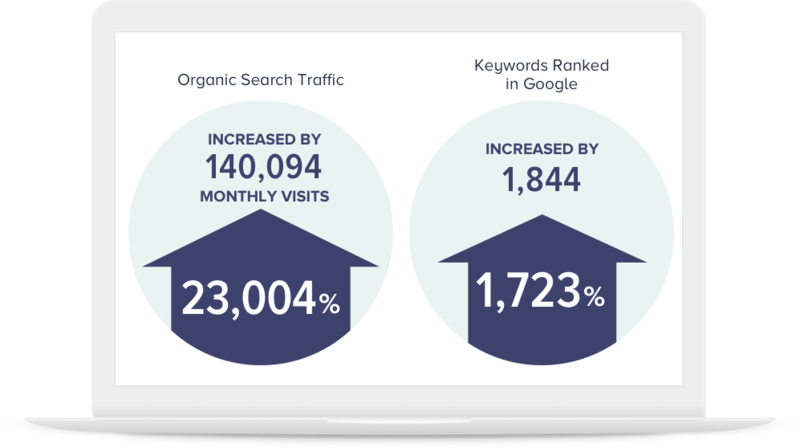 In one year, newsbae.com saw its keywords ranked in Google grow by 1,844, an increase of approximately 1,700%. In roughly that same timeframe, organic search results for the news site grew by 140K, an increase of approximately 23,000%.